Illicit trade including smuggling, counterfeiting and piracy is one of the most preferred mechanisms used by terrorists to fund their operations, a new report highlights. 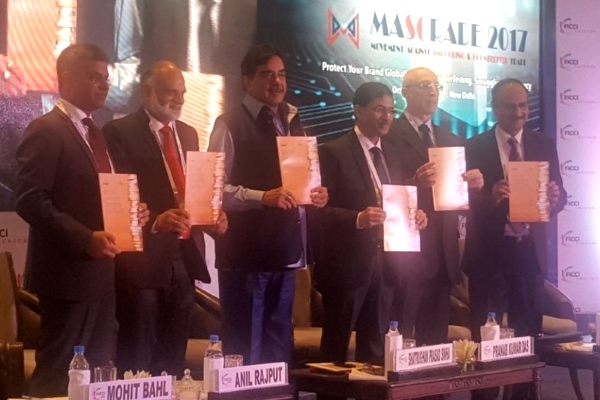 Launched yesterday at the Federation of Indian Chambers of Commerce and Industry (FICCI) MASCRADE 2017 conference, the report seeks to improve the understanding of the nexus between terror financing, organised crime and illicit trade. It is a product of the FICCI initiative the Committee Against Smuggling and Counterfeiting Activities Destroying the Economy (CASCADE) in collaboration with KPMG in India. According to the report – titled Illicit Trade: Fuelling Terror Financing and Organised Crime – many prominent terrorist organisations, including Hezbollah, Lashkar-eTaiba, Al Qaida, and the Irish Republican Army, rely on illicit trade for financing up to 20 per cent of their terror operations. The Charlie Hebdo attacks in Paris in 2015 is one example given where this was the case, while Al-Qaeda uses the illicit trade of cigarettes and apparel as one of its financing sources. Both Lashkar-e-Taiba and Irish Republican Army source income from the illicit trade of cigarettes among other goods, the report said. In India, D-Company is identified as a terrorist organisation thriving on the black market of counterfeit goods in the country. The report noted that the transformation of D-Company into a terrorist entity is believed to coincide with its entry into trade of counterfeit goods. According to the report, counterfeiting provides terrorists with an opportunity to quickly finance themselves under the radar of authorities. For instance, the smuggling and counterfeiting of cigarettes has been found to account for more than 20 per cent of criminal funding sources for terrorist organisations. “Smuggling, counterfeiting and piracy appeal to the terrorist organisations more than the other means of financing because of the low risks associated with it,” the report said. The report also notes that the evolution of terrorism in recent times has been driven by the development of unique technologies that provide a platform to manoeuvre its illicit trade operations, pointing to the Darknet as the main culprit, with its anonymity and lack of traceability. “Essentially, the Darknet has become one of the major platforms for supporting illicit trade, which eventually helps in generating easy financing for organised crime and terrorism,” the report said. The development of the internet and e-commerce has also allowed illicit trade to prosper, which terrorists have taken advantage of, the report adds. Dr Sanjaya Baru, secretary general at FICCI, said he was concerned about the exponentially growing problem of illicit trade. “Illegal trade in smuggled, counterfeited and pirated goods dampens the economy in multidimensional ways. It destabilises the legal industry, restrains innovation and investments, reduces government revenues and hampers the health and safety of consumers. Moreover, globally it fuels transnational crime, corruption, and terrorism. As it converges with other criminal activities it undermines the rule of law and the legitimate market economy, creating greater insecurity and instability around the world”. Baru said that despite the progressive laws introduced in India to crackdown on illicit trade “more inter-governmental efforts and public-private alliances are needed to identify approaches leading to the development of a holistic strategy”. The report makes four main recommendations to control illicit trade: Better awareness about counterfeit and smuggled products through government initiatives; the partnering of government and industry to run campaigns for reducing the market for counterfeit and pirated goods; the development of task forces to check the growth of illicit trade and links between terrorism, organised crime and illicit trade; and moves to draw a balance between government revenue needs through taxation and the incentives illicit market gets through increased taxes on goods. MASCRADE this year focused on protecting brands from counterfeiting, smuggling and piracy and sought to encourage dialogue and joint action between governments and the private sector. Shatrughan Sinha, member of parliament, Lok Sabha, said was “high time and the right time for promotion, protection and projection of India’s goods and to fight against smuggling, counterfeiting and illicit trade” but he called for more to be done to change the general mind set around the use of smuggled and illicit goods. Others who spoke – including the World Customs Organization, INTERPOL, United Nations Office for Drugs and Crime, Organization for Economic Corporation and Development, and Louis Vuitton among others – called for better relationships between government agencies and the private sector, as well as more robust policies and effective implementation to curtail illicit trade.